What do exercises have to do with relieving pain? Lots. Research in sports medicine and spine care show that a key part of the recovery and rehabilitation process involves exercise and movement. Americans may want a magic pill or surgery to recover from pain. But keep in mind that using drugs to mask pain is a band-aid approach, and over time can have disastrous effects on internal organs. One should always explore non-surgical treatment options before considering surgery. Some injuries may ultimately require surgery to repair the damage, so you should first consult a specialist to assess your problem before embarking on any exercise program. Overall, the best long-term solution to orthopaedic problems involves making the muscles, ligaments, tendons and joints stronger, more flexible and resistant to injury. That way, you are more resistant to future attacks of pain. Exercise can help you re-strengthen the muscles, ligaments, tendons and joints to make them more injury resistant. Customized exercises can help you recover from orthopaedic and spine problems non-surgically. Even if you ultimately need surgery to repair an injury, exercise and movement will be necessary to rehabilitate the injured area after surgery so you regain strength and range of motion. 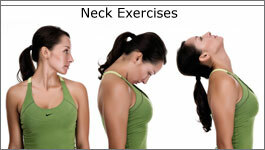 Some of the exercises shown can help relieve joint, ligament, muscle problems in the legs, arms, neck and back. 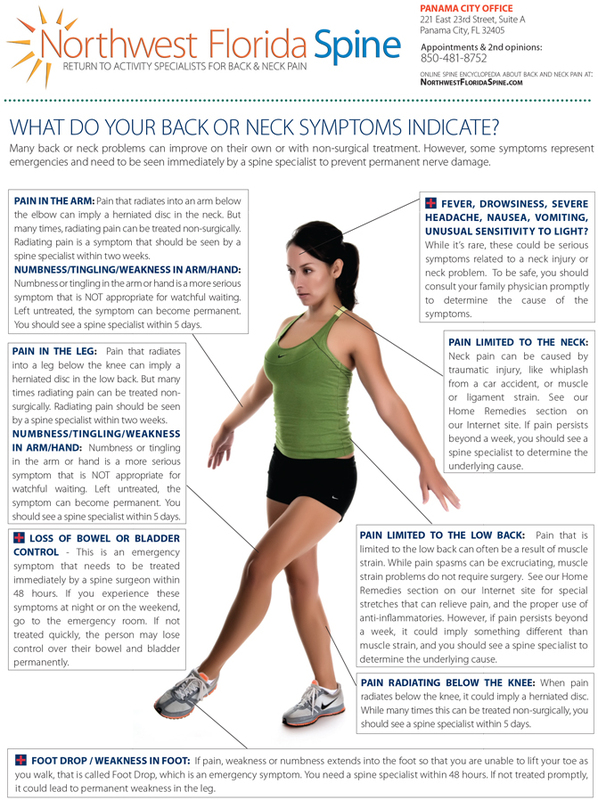 If you have pain related to neck or back problems, you should first visit one of our specialists to determine the cause of your pain. They will determine the best treatment for you, and one of our physical therapists will be able to customize an exercise program just for you. Your exercise program may involve some of the exercises shown in our exercise library section. Choose from one of the sections to the left. Remember, never do any exercise that causes increased pain. Never do any exercise after an injury related to a traumatic event, such as a fall or sports injury or any onset of pain that has emerged suddenly. Consult one of our specialists first.